My niece is a movie-obsessed 6-year-old who loves superheroes and princesses, not necessarily in that order. For literally her entire life – at least the years of her life she actually remembers – Disney and Netflix have gone hand in hand. For example, a not small portion of her 2018 was devoted to dancing along with Baby Groot in Guardians of the Galaxy 2 and pretending to be Valkyrie while watching Thor: Ragnarok. She did all of that by streaming those movies on Netflix. Disney’s new streaming service, however, is going to completely change the equation in a way she’s never before experienced. So, the following is an edited version of a conversation I had with her this morning about all of the big Disney+ headlines which came out yesterday. 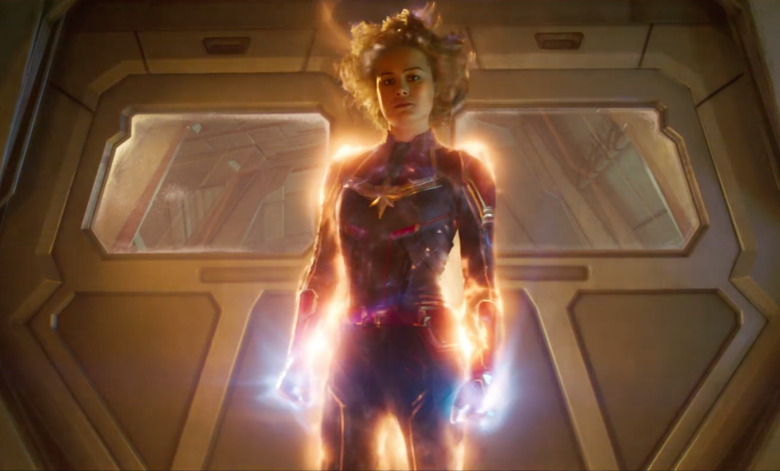 In short: she’s not sure why any of this happening, but she’ll follow Captain Marvel to the ends of the streaming Earth. Me: So, Disney is about to have its own Netflix. Me: They’re going to release their own streaming service full of Disney movies. It’ll be just like Netflix but with only Disney stuff. Her: Will it be like the Kids section of Netflix? Me: Kind of, except the Netflix Kids account lets you watch Trolls and Barbie: Dreamhouse Adventures alongside Moana and Sofia the First. When Disney’s streaming service comes out, Moana and Sofia won’t be on there anymore. You’ll have to subscribe to Disney+ to watch those. Her: (Instant frowny face) Why? Me: Because Disney wants to make more money. Her: (Picks at her pop tart) OK. Why are they calling called it Disney+? Me: Because someone in something called a “marketing department” thought it sounded great. It’s going to have all of the old Disney stuff plus a bunch of new things. Her: Oh, Disney Plus…I get it. What kind of new things? Me: Lady and the Tramp? Um, it’s a movie about cute dogs. Me: Say, I heard a rumor you like Frozen. Conversation paused. This is when she forced me to pull up a video on my phone in which a bunch of drama students in their early 20s YouTubers act out what they think will happen in Frozen 2. Basically, they took the plot of Harry Potter and the Cursed Child and molded it onto Frozen. Her: I totally think Elsa and Anna’s parents aren’t really dead. Conversation paused. She had to lay her Frozen 2 fan theories on me. Me: Well, there’s going to a movie about the making of Frozen 2. You’ll get to see how they wrote the songs, animated the characters, and put it all together with computers. Her: (Voice rising to a shout) Will I still be able to watch Captain Marvel when it comes on Netflix? Me: Hey, it’s ok. Here’s the best part: Disney+ is only going to cost $7 a month. Her: That’s how much I make in allowance! Me: Wait. No, it isn’t. You don’t have an allowance. Her: Well, I’m about to and it’s going to be $7 a month. Me: I don’t think you’ll have to pay for Disney+ yourself. You’re only 6! Her: About to be 7! Me: Oh, good, because I really want to spend my allowance on L.O.L. dolls. Me: But you don’t actually have an allowance, remember? Her: I don’t need to know anymore. I go wherever Captain Marvel goes. Me: And that means subscribing to Disney+? Me: But I haven’t even mentioned the part about Disney+ being the exclusive streaming home of The Simpsons? Her: Don’t care. My brother can watch that. I’ll be busy watching Captain Marvel! (Her cat suddenly jumps on the table) He’s such a Flerken! And then she spent 5 minutes describing how cute her cat is. Disney, you just got yourself a customer. Brilliant article and v funny. Now can you hammer out your thoughts on rise of sky walker please. In particular that familiar laugh at the end and carry fisher is in it despite confirmation she wasnt and where is matt smith and the other doctor who actor who are supposed to be in it? Matt Smith has possibly been cut from the film. There was speculation about that a while back when he indicated in an interview he didn’t know if he made the final cut, suggesting he must not have a major role. Leia being in it confirms what Abrams said in the past and said again today, namely that they thankfully had old, unseen Force Awakens deleted scenes which could be manipulated to work Leia into this new movie. How or why exactly those deleted scenes were held back from the Blu-Ray edition, I don’t know. The familiar laugh is obviously Palpatine, and there is a shot in the trailer which sure looks like Rey and gang staring at a downed Death Star. Could be the one from Jedi thus Palpatine’s final resting place. Could be that he appears as a force ghost. However I’ve been vaguely aware of this theory that Snoke and Palpatine were partners from way back and that Palpatine might secretly be alive and ruling through Snoke. Once Rey killed him, though, Palpatine would have to reveal himself and take over. I didn’t totally believe that theory. I really thought we were done with Palpatine, but since this is the end of the Skywalker saga there’s an obvious symmetry to bringing him back for the end. It is not a move I could see Rian Johnson making after all of his mythology deconstruction in Last Jedi. It is right up Abrams alley though. I would love to write more about this but for now I actually need to go babysit my niece after her school. Later tonight, though, I’ll have something up. Damn that Rian and his undoing of the force awakens. Over 2 hours run time to explore who Reys parents are and if snoke was really the emperor’s master who learnt to cheat death and instead we get issues to do with lack of fuel and a search for a person at a casino which to me spelled keeping characters busy but not key to the plot. Rian clear wanted to write a different story and cared little for the other movie stories. JJ is definitely the right choice to bring it back again but no way can he make it all right and conclude nine films (anthology? What is the term for nine? A plethora of films?) in the manner it deserves. So I am instead holding my breath for The Mandalorian instead. Although the palpatine laugh and maybe the lando cameo will guarentee my purchase of a cinema ticket for me and the clan. Thanks for the compliment, complete stranger whose last name happens to be the same as my own. No, I was being sarcastic. That comment was left by my brother, aka my niece’s dad. He was just beinf sarcastic with me. We do that a lot. Phew. 😊 Btw im moving to disney plus when it comes out. Mrs loves lady and tramp and i love star wars and kids love the rest. So long as it delivers. Today i looked on my amazon fire stick to play a quick crossy road and saw that disney life is still being promoted here in blighty. Dont know if that means we wont see plus for a while or if Life will evolve? One of the underreported parts of Disney+, from what I’ve seen, is that the November 12th launch date is for North America only. From what I understand, the service won’t roll out to the UK and elsewhere until early 2020. I imagine it will simply replace DisneyLife in the Uk when that happens, but that’s another question which appears to have no answer at the moment. Well will give me time to see what you cousins in the states think of it after the hype and following actual roll out. Will also allow me time to see what netflix does in reaction. Netflix still has the elad and with shows like black mirror and that interactive episode knocking people for six it may pull a rabbit out of its hat. I woukdnt pay a penny on disney life so we shall see.